Everything is settling in nicely at the new house, it is so lovely here and it still feels like we are living in a Hotel. We have some temporary stables up for the horses, while planning for permanent ones is sorted. We want to rebuild the historic courtyard that was here in 1850, we are so excited about creating what was here previously, it’s going to be such a lovely set up. We have taken hours collecting and and digging up some 200 year old handmade bricks to keep it all as original as possible. The new arena is just about completed. 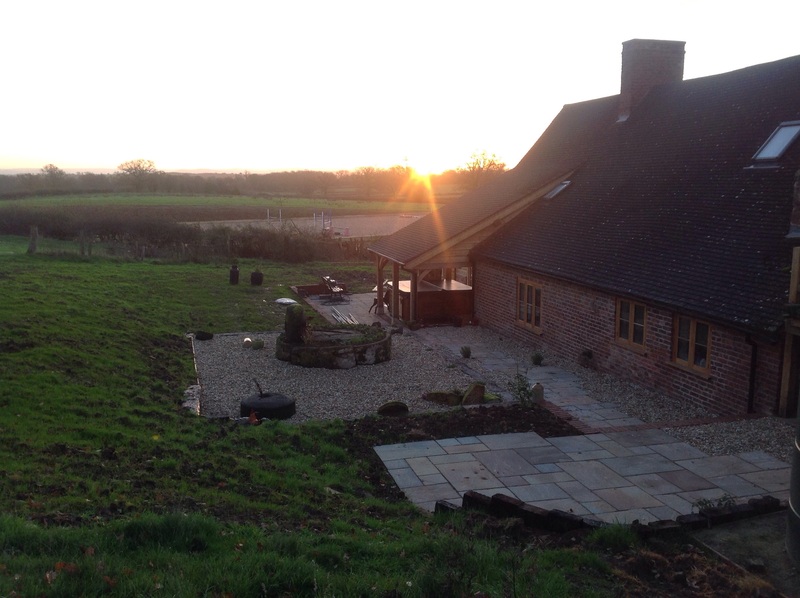 Getting a suitable surface approved by the local planning authority was frustrating as they wanted us to use cheap waste rubber (chopped up tyres) or other waste products. I refused to distribute carsogenic, toxic waste accross this area of outstanding natural beauty and so I fought my case. Eventually the Council agreed to let us use a surface that is recommended by the FEI for equestrian use, being safe not only for the horses and riders but also so importantly safe for the environment. It’s a surface considered safe to use at The Greenwich Olympics and Rio next summer. Massimo has started his winter campaign working towards an early start Eventing next spring. 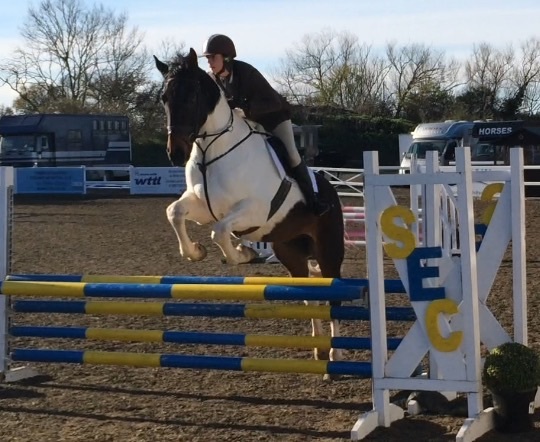 He jumped double clear at his first affiliated BS SJ outing last week. He try’s so hard to please bless him. 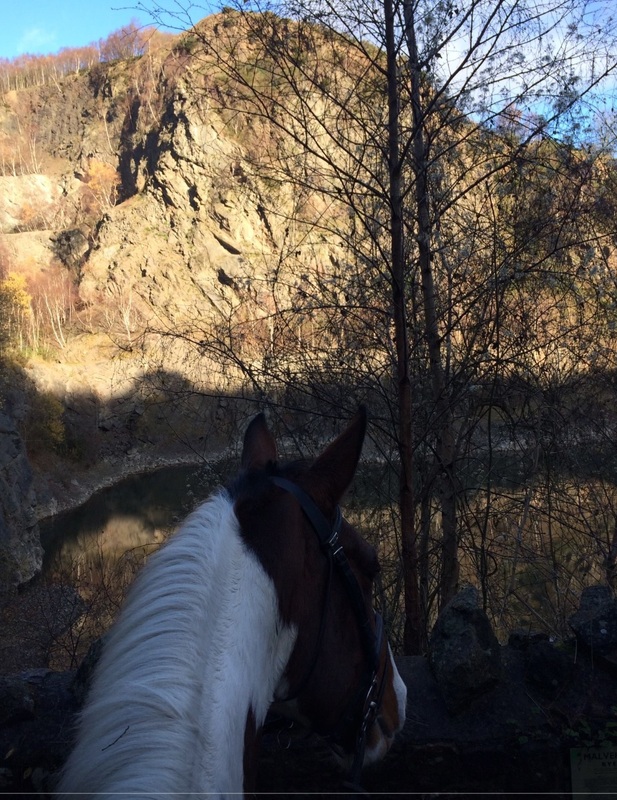 Sprout and Blizzard are back in work and are doing lots of hacking, which is particularly lovely round here, see photo overlooking the stunning gullet quarry.